Born: 9 April 1836, Edinburgh, Scotland. Died: 3 April 1923, Cape Town, South Africa. Alexander Wilmot, Cape parlementarian and author, was educated at the Universities of Edinburgh and Glasgow and showed early talent as an author. In 1853, at the age of 17, he came to the Cape Colony and was employed as a clerk, first in the postal service, then in the office of the colonial secretary (1856), and then in the office of the civil commissioner at Port Elizabeth (1858). In March 1859 he became postmaster at Port Elizabeth, a post he held until he retired from the public service in 1886. In 1860 he married Alice M. Slater, with whom he had fourteen surviving children. He was elected a member of the Legislative Council of the Cape Colony in 1889 and represented the South-Eastern Districts until the formation of the Union of South Africa in 1910. His main interest as a parliamentarian was to combat the deleterious social effects of strong drink, particularly on the Coloured population. In addition to legislative control of the liquor trade he pursued his aims through the Temperance Allience in South Africa, of which he was president for 20 years. After his retirement in 1886 Wilmot moved to Grahamstown, where he participated in the activities of local scientific societies. In September 1887 he was elected as a member of the management committee of the Albany Museum. The next year the short-lived South African Geological Association was founded in Grahamstown, with Wilmot serving as its honorary secretary. In June 1892 he was elected a member of the committee of the revived Literary, Scientific and Medical Society of Grahamstown. Later that year he lectured on the South African and International Exhibition, Kimberley, before the Eastern Province Literary and Scientific Association. He became a foundation member of the South African Association for the Advancement of Science in 1902. In 1917, at the age of 81, he became a foundation member of the South African Geographical Society and was elected its vice-president. 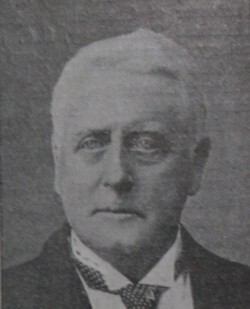 As a result of his support for the British imperialist Cecil J. Rhodes, the latter commissioned him to do historical research relating to the ruins of Rhodesia (now Zimbabwe). Wilmot did this by consulting sources and authorities in Europe, rather than by studying the ruins themselves. Upon his return he addressed the Eastern Province Literary and Scientific Association in December 1896 on "Phoenician monuments in South-East Africa", a paper that was published in the E.P. Magazine (1896, Vol. 2(7), pp. 278-280). Throughout his career he wrote numerous books and articles on a wide variety of subjects, though the geography and history of southern Africa were his main interests. However, on the latter subject his work was overshadowed by that of G.M. Theal. None the less several of his texts were used in schools for many years. His works included: A historical and descriptive account of the colony of the Cape of Good Hope; comprising information regarding the geology, zoology, and flora of the Colony, together with notices of the native tribes, accurate statistical tables, etc (London, 1863, 92p); The South African Gold-Fields... (Cape Town, 1868, 29p); Outlines of the geography of South Africa. For the use of schools (Cape town, 1868, 47p; 12th ed., 1891); History of the colony of the Cape of Good Hope (with J.C. Chase*; Cape Town, 1869); Diamonds and the South African diamond fields (Cape Town, 1869, 20p); History of the Cape Colony, for use in schools (Cape Town, 1871, 93p; 7th ed., 1891); History of the Zulu War (London, 1880); Geography of South Africa, for the use of higher classes in schools (Cape Town, 1880, 109p; 6th ed., 1891); Historical reader. South Africa (Cape Town, 1881, 270p); Handbook for travellers to South Africa... (London, 1882, 53p); Elements of the history and geography of South Africa (Cape Town, 1885, 47p; 4th ed., 1894); The book of South African industries (Cape Town, 1892, 134p); The story of the expansion of southern Africa (London, 1894 290p); Monomotapa (Rhodesia): its monuments and its history from the most ancient times to the present century (London, 1896); The history of our own times in South Africa, 1872-1898 (Cape Town, 3 vols, 1897-1899); The life and times of Sir Richard Southey, KCMG... (London, 1904); The church in South Africa (London, 1914, 32p, on the local history of the Catholic Church); and The climate of South Africa. "The best in the world" (2nd ed., Cape Town, 32p; a popular account, written for the Cape Peninsula Publicity Association). On the basis of his geographical writings he was elected a Fellow of the Royal Geographical Society. Wilmot was a leading Catholic layman, played an active role in church affairs, and regularly wrote for the South African Catholic Magazine. In 1911 he visited the Vatican and, in recognition of his services to the church and the poor, Pope Benedict XV made him a papal count and honoured him as a Knight of the Order of the Holy Sepulchre (KHS) and a Knight of the Order of St Gregory the Great (KSG). E.P. Magazine, 1896, Vol. 7, paper by Wilmot. Grahamstown Journal, 24 September 1887, p. 2, Albany Museum; 2 July 1892, p. 2, Literary, Scientific and Medical Society; 13 October 1892, pp. 3-4, Eastern Province Literaty and Scientific Association. Grocott's Penny Mail, 4 July 1888, p. 3, South African Geological Association; 9 July 1889, p.2, Our Diary - South African Geological Society. South African Geographical Journal, 1917, Vol. 1(1), list of members [of the SA Geographical Society].